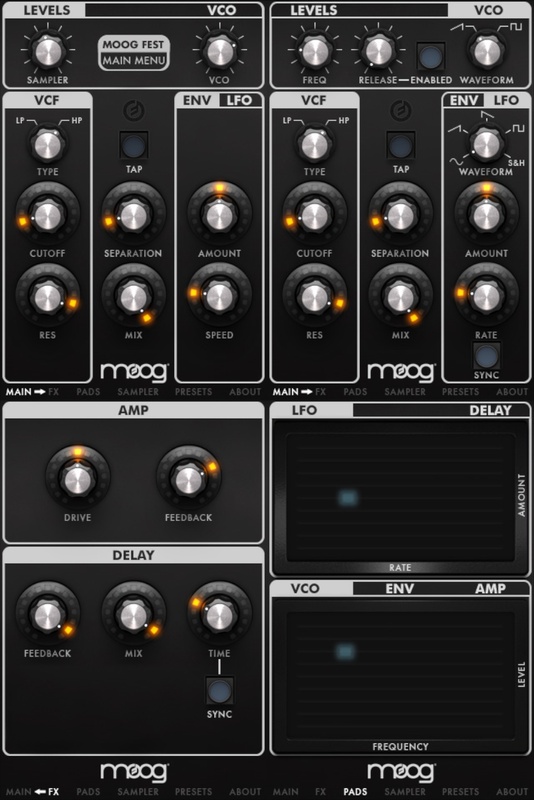 A break from our (my) regularly scheduled (ha) posts to “review” my favorite toy lately: Moog’s Filtatron iPhone/iOS app. First off, it’s $5. I think that is just about the cheapest thing you can buy from Moog except maybe a replacement knob. Straight off the bat, play around with the app and some stock Apple headphones. You can do some crazy stuff really easily. I killed three hours playing with this the first night I had it. I’d suggest playing with the presets first, as they can show you some small amount of what you can come up with. On the first page at the top are the mixer controls. These are the most important settings in the app. They let you mix in live audio input, samples, or an oscillator. I’ve been loving using Filtatron as a stomp box type effect for guitars and synths. It’s very fun. I’ve also been using the iOS version of Nanoloop piped into Filtatron. It’s an amazing little portable chiptune studio! 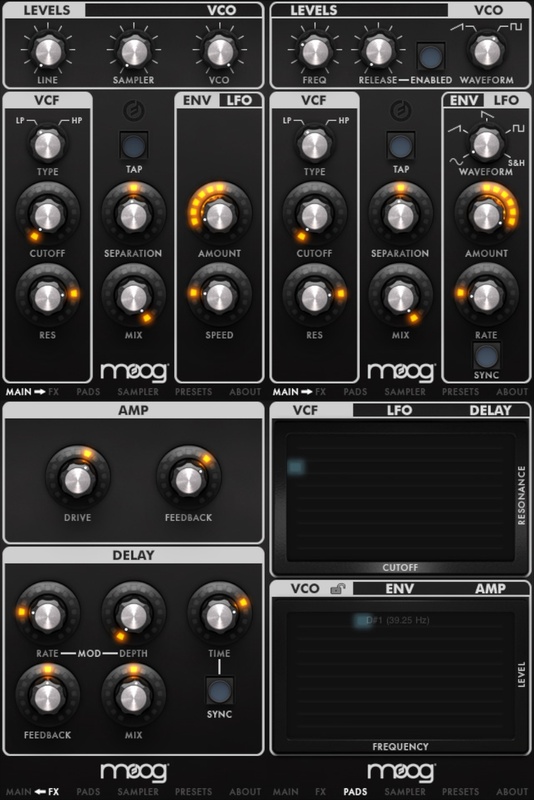 You have to be careful though, as this app might make you want all sorts of physical Moog devices. The touchscreen is just not as satisfying as turning a big dial. p.s. – Just wanted to pop in a note letting people know that this version of Filtatron is more fully featured than the one that is included in the Moogfest app. It’s kind of obvious that there might be differences, but I hadn’t seen any mention of it yet. Line input – Makes the Filtatron app capable of doing all sorts of effects on your voice or a guitar plugged into your iPhone in real time. The closest thing to this included is playing with filtering the samples. Rate and Depth control of the delay – Filtatron can be far more subtle AND far more over the top with the delay effects it can do. Pad control of VCF – Filtatron can let you control the VCF by pad control, which lets you do quick filter squelches, wild squealing filtered noises. Can be quite interesting in combination with delays.